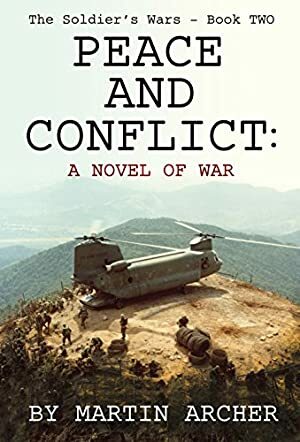 This is the second action-packed book in Martin Archer's acclaimed "The Soldiers and Marines" saga describing what happens to a young combat soldier when he decides to become a professional soldier and stay on active duty. Chris Roberts leaves behind the intense Korean War combat between the United Nations' forces and the North Koreans and Chinese and is permanently assigned to Europe - until he finds himself serving with the French Foreign Legion's fabled Second Parachute Regiment as it goes down at Dien Bien Phu and then in charge of a small detachment tasked with filling NATO's gaps and exploiting Russia's weaknesses in the on-coming war with the Soviet Union and the Warsaw Pact. The first book in the series "Soldiers and Marines" is about the intense combat experiences of a young man who becomes a professional soldier in the desperate fighting of the Korean War between a multinational force and the invading North Koreans and Chinese. The third book in the series "War Breaks Out" describes the intense air and land combat that occurs when the Soviets and their allies invade Germany and NATO fights back when the entire United States Marine Corps is airlifted in to join the fight. The fourth novel, "War in the East," is about the combat that occurs when the Chinese invade a weakened Russia in an attempt to reclaim China's lost territories and the United States sides with Russia. The fifth novel in the series is "Israel's Next War." It describes the vicious fighting that occurs when a coalition of Islamic countries and militias launches a massive surprise attack on Israel that forever changes the borders of the various countries in the Middle East. Readers who enjoy these books may also enjoy Michael Cameron's "America's Next War" which rewrites "War Breaks Out" to set it into a future war between NATO and a reinvigorated Russia. Martin Archer would like to make these books available for you to read in print. However, at the moment he is too busy writing his exciting and action-packed new series of novels about the survivors of a company of medieval English archers who fight their way home from the Crusades. The initial books of that series, starting the "The Archers'" are now available on Kindle. Martin would value your comments and suggestions. Please contact him at martinarcherV@gmail.com. We started tracking this book on February 15, 2015. This book was £3.54 when we started tracking it. The price of this book has changed 14 times in the past 1,530 days. The lowest price to date was FREE last reached on April 15, 2017. The highest price to date was £3.99 last reached on April 20, 2017. This book has been £3.99 3 times since we started tracking it.